Sun Pharma has made some allegations against Moneylife. For clarity and transparency, here is a statement by Moneylife. 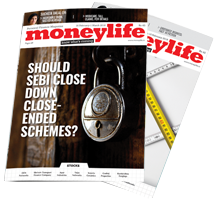 Moneylife has written has three articles on Sun Pharma which are in the public domain. These are based on two voluminous documents that have already been submitted by a whistleblower to the Securities and Exchange Board of India (SEBI). Following the first document, the SEBI chairman has already confirmed that it is investigating the matter. For every article, consistent with journalistic norms, we have asked Sun Pharma for its comments. As journalists, we have naturally published information that would be of interest to readers and to the public at large, especially when we were privileged to have access to it. These had distilled the information available in the whistleblower's report for easy understanding by all—especially small investors. However, institutional investors naturally wanted more granular information. So, in the best traditions of transparency and public interest, we have decided to allow institutional investors to look at the documents available with us, purely in public interest. However, we also received requests from brokerage firms and even a human rights NGO (non-government organisation) from Delhi and allowed all those who asked to see the papers to look at them. So the allegation about selective disclosure are completely false. Companies, traditionally, have conference calls and conferences only for institutional investors and analysts. Sun Pharma had a conference call in December as well when this story first broke. So it hardly makes sense for a publicly-listed entity to make such claims. If Sun Pharma believes that these whistleblower documents should be fully in the public space, SEBI should be the body to make them public. We wish to bring to your kind notice an alleged second whistleblower complaint filed against our Company, which we learnt from a media report on January 15, 2019. We also learnt on November 30, 2018, from a media report that a whistleblower complaint was filed against the company. The said whistleblower documents and other confidential emails are being offered for inspection to institutional investors by one media house as per the above report, which again we are not privy to. In these circumstances, there is a great asymmetry in the information circulating between analysts, investors and media leading to intense speculation. The availability of information contained in the whistleblower documents to a set of selective investors does put other investors including retail investors in a disadvantageous position. We are concerned that certain entities/individuals are adopting unfair trade practices prejudicial to the interest of shareholders and other stakeholders. It is evident from the fact that shareholders value has been drastically eroded within a short span of time due to unsubstantiated complaint/allegation against the company and mala fide campaign launched by certain media houses. We request your office to examine the matter in its entirety, and the role of some media houses and other stakeholders. Commend efforts of Moneylife and the approach adopted. SEBI needs to consider putting Whistleblower complaint in the public domain in the interest of all stakeholders. This is 2nd time that whistle blower has revealed about Sun Pharma n shares has crashed .Crores of investment has been vanished .CMD could not give the answers properly in last interaction. The mess is yet to come the share has gone record 370 .These people should have concern about public money n faith . The CMD should come with revelation about shady personal nvestment done at the cost of public money . The 2nd time share crash n lack of clarity from CMD put big question mark on his image means to say this is just a tip of iceberg for future disaster . Moneylife Team has once again done a commendable job. They have taken over the Onerous responsibility on their shoulders to clean the Indian financial system. A responsibility ideally of the Ruling Governments, Regulators and Auditors. "Behind every Great Fortune, there is a Crime" - Mario Puzo . Sun Pharma’s Mr.Dilip Shanghvi is one of the Richest Billionaire in the world. To err is human. Hope Mr.Shanghvi introspect and admit to the mistake if he has committed one (knowingly or unknowingly), pay the penalty which could be just a fraction of the huge fortune that he has built with tremendous hard work and just move on. Instead of shooting the Messenger, Mr.Shanghvi as part of Corporate Social Responsibility should help Moneylife in their noble endeavor to clean India’s financial System. Concur with your views fully. SEBI should now investigate it fully and quickly, not take decades. If Sun Pharma thinks some parties are trying to harm the company , it should come out with point-by-point rebuttal. Why are they not doing it ? They are doing the opposite ; giving bogus replies. It is a whistle blower who has reported the matter which is perfectly legal. Moneylfe has simply given wider publicity. Otherwise the authorities might would have suppressed it. Think of IL & FS ghotala. A few are saying that investors have lost money !! What an irony. They have lost money because nobody reported it earlier and auditors, authorities were sleeping or worse !!! The latest two articles are available to only "premium members". If Moneylife is claiming the high moral ground, then at least make these articles open to all now after a few days. Also it is not clear if you shared the reports against any charges/fees/material info. Don't claim the moral high-ground when it's clear you have erred this time. Who will compensate for the shareholders loss?? You should also clarify if you directly or indirectly had any conflict of interest also in publishing this story. Did you or the persons you shared the story with, directly or indirectly had short positions in the stock in F&O. MoneyLife is the one who should be investigated here. Bhaskar should be thankful to Moneylife for unearthing shady goings on in Sunpharma by bringing the whisleblower report to public domain. This will definitely save gullible investors (planning to invest) in dubious concerns like Sun Pharma. I personally withheld investment in Sun Pharma and Moneylife Revelations saved me a huge sum which would have gone down the drain. Money Life deserve our appreciation. Please do not criticize the commendable work done by Money Life! Moneylife deserves to be complemented ,not criticised. Why other business publications are not doing the same ? Most such publications print worthless articles and often take the promoter/broker/analysts' side. Moneylife also has to run the magazine and it costs money. Many in such cases would approach the promoter, take ad (or even money !!) and keep mouth shut !!! > ML always educating the investors to avoid the mistakes and creating the awareness of investment. If we lose the money, we cry and blame the media or others who are involved for exposing the facts. Well in case of Take Solutions, their research was majorly Objective and not Subjective. So we should, in fact, thank them for pointing it out. For not making those 2 articles public, I'm assuming there would be a huge cost for getting all this information so obviously, they have to recover it some way. And to be fair, that's the case with magazines as well. To buy the content of a particular magazine, you have to buy it. And I agree that they should have shared the report with the retail investors. Or at least shared that whoever wanted the access to the report, can mail to their ID. We have indeed shared the report with whoever asked it. We did not do it on the first day, since there was a rush of calls and we have a very clear principle on this issue -- we first allowed access to institutional investors who represent a large body of retail investors and have a fiduciary duty to them. After that EVERYBODY who has sought an appointment has been accomodated and given about 40 minutes to view each report and take notes. As a TINY organisation, we can only do so much. As for making it public by putting it on a website -- there is a huge cost attached to putting 500 pages for public viewing. So, if you recall, we have distilled the information and Debashis Basu has written 3 articles -- that was done first - and puts retail investors on par with anyone else. If you are interested, call our office on Monday and take an appointment to view the documents. All the Sun conference call transcripts are shared/published. So don't justify that since the company had conference call only with institutional investors, MoneyLife also did the same and its all fine. Conference calls by companies are NOT the only ones that give privileged access to institutional investors. There are a series of lavish five star conference organised by brokers for institutional investors where companies make presentations and have one-to-one meetings ONLY with select investors. This is a WRONG but accepted practice globally. SEBI is welcome to make a change --it will help retail investors. But that is unlikely to happen until retail investors get together and have a united voice! Answered above. Did you ask for an appointment to view documents? Our office is clear that after first day rush, all have been given appointments. Exactly. And even the latest two articles were available to only "premium members". If Moneylife is claiming the high moral ground, then at least make these articles open to all now after a few days. Also it is not clear if you shared the reports against any charges/fees/material info. You seem unclear about SEBI rules, or seem to think that people can do what you allege and survive with impunity. That shows pathetic lack of knowledge about how difficult it is to put out factual information about corporate India, which is not all PR. Or you have some clear motives for your allegations --- where those come from is not hard to guess. If you want all the work done free, please tell us where do you think we should find the resources for running our publication, or for our own livelihood? We are not on a government dole!! I subscribed to one year of Money Life.......We need your work to continue......Money Life needs revenue...Keep the good work going Sucheta. 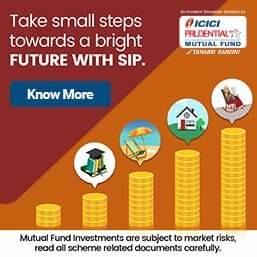 HDFC Standard Life Insurance Company Limited ('HDFC Life') announced that its corporate name has changed to "HDFC Life Insurance Company Limited", following the receipt of relevant approvals from regulatory authorities including the Ministry of Corporate Affairs, according to a release from the company. The name change is effective immediately and the Company will henceforth operate under the name "HDFC Life Insurance Company Limited". Over the years, specifically after listing of the company on the stock exchanges, "HDFC Life" as a brand has established itself as one of the most valuable brands in the Indian life insurance sector. Hence, with a view to align the corporate name of the company with its brand name, the corporate name of the company has been changed to "HDFC Life Insurance Company Limited". Other than the company name, all other details and structures of the company remain unchanged. The National Green Tribunal (NGT) on Thursday directed German auto major Volkswagen to deposit Rs 100 crore by Friday in accordance with its November 2018 order or face punitive action. The Tribunal warned that if Volkswagen fails to pay the stipulated cost within 24 hours, its India head may be arrested and all his properties may be seized. In November 2018, the NGT had directed the car manufacturer to deposit Rs 100 crore with the Central Pollution Control Board (CPCB) within a month for causing "serious environmental damage" by using a cheat device that lowered vehicular emissions only during tests. Volkswagen had challenged the order in the Supreme Court but the court refused to put a stay on the Tribunal's order. On Tuesday, a four-member committee set up by the NGT in November, penalised Volkswagen Rs 171.34 crore for causing air pollution in Delhi due to excess nitrogen oxide emissions.